Item Code:UN-MR0811 Features:Mezzanine Racking / Mezzanine Shelving systems usually consist of upright, beam, shelves, deck, handrail and stair, etc. Additional storage floors can be incorporated into the rack with walkways to allow pedestrian access for order picking. Mezzanine Racking / Mezzanine Shelving systems usually consist of upright, beam, shelves, deck, handrail and stair, etc. Additional storage floors can be incorporated into the rack with walkways to allow pedestrian access for order picking. This maximizes all available headroom and is ideal for storing a wide variety of packaged goods for hand picking. It is the ideal solution for the utilizing of warehouse's height and space, also can accommodate sophisticated automated picking systems. 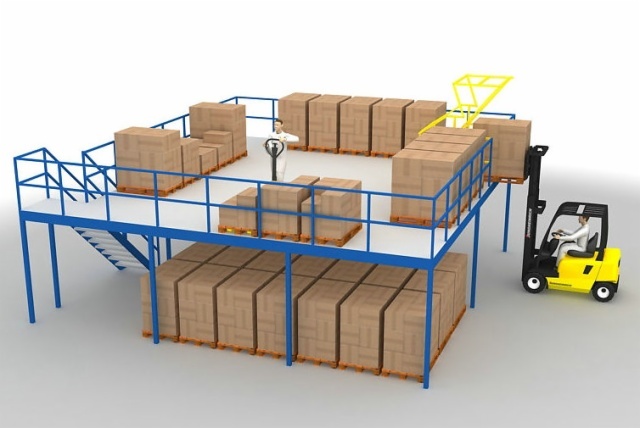 Mezzanine systems are widely acceptable to automobile and logistics industry. 1) Payment term: T/T 30% deposit after order confirmed, 70% balance paid against bill of lading . or L/C. 2) Lead time: normally in 30 days after deposit received. 3) Sample policy: Samples are always available for each model. Samples can be ready in 7-15 days once payment received. 4) Shipping port: Shanghai China. 5) Discounts: We offer discount for large quantity. 1) Sea Freight: we will update sea freight once we know your sea port where goods will be delivered. 2) Agent designated by client: please tell us the contact detail of your shipping agent and we will arrange to deliver the items. 1) Your inquiry related to our products or prices will be replied in 24 hours. 2) Well-trained and experienced staffs to answer all your enquires in fluent English. 3) OEM&ODM, any your customized racks we can help you to design product. 1) Warranty: two years warranty, the broken parts will be replaced and sent to you. 2) Factory price: Factory direct sale competitive price. Mezzanine Racking / Mezzanine Shelving systems usually consist of upright, beam, shelves, deck, handrail and stair, etc. Additional storage floors can be incorporated into the rack with walkways to allow pedestrian access for order picking.